Aussies have always loved Thailand but with new destinations and attractions there is even more to enjoy and explore, as Traveltalk magazine’s Jenny Rowland recently discovered. This year, Tourism Thailand is urging travellers to look beyond the standard beach and partying delights and to delve a little deeper into the true essence of Thailand. Namely, the rich history and culture, ancient traditions, wonderful hospitality and the ubiquitous smiling Thai welcome. Welcome, then, to the year of THAI-NESS which will celebrate all that makes this delightful country… THAILAND! I visited southern Thailand recently and found lots to make me smile. If you want to get off the beaten track and go where the locals go on holiday then head south and experience the bustling city of Nakhon. Steeped in history and one of Thailand’s most ancient cities, it also lays claim to the most important temple in Southern Thailand. Wat Phra Mahathat Woramahawihaan may not be easy to say but is well worth visiting. The pagoda has a distinctive Sri Lankan-style, measures more than 55-metres high and topped with a spectacular gold-topped stupa. Nakhon has one of the largest national parks in the region of Khao Luang with enough mountains and waterfalls to keep anyone happy. It also has lots of those special beaches, the ones you dream of, with palm trees slanting gracefully under a bright blue sky, turquoise sea lapping at your toes and no one else in sight. They’re here and they’re not lined with concrete hotels! 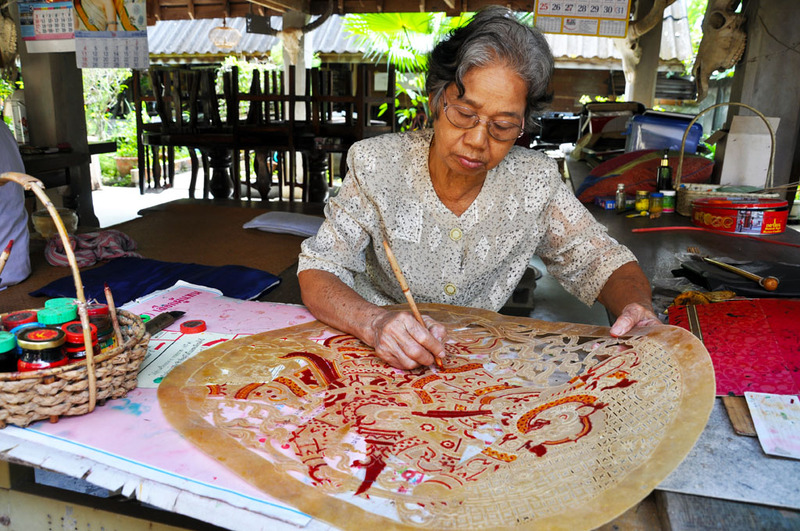 Nakhon is renowned for the ancient and enchanting folk art of shadow puppetry, known locally as Ban Nang Talung Suchart Subsin. Here, visitors can watch the process of making these handmade puppets and then see a live show. A quick look behind the stage revealed no less than six puppeteers, all with various musical instruments, as the lead star narrated while furiously directing the puppets. The end result is a spellbinding magical show for all the family. 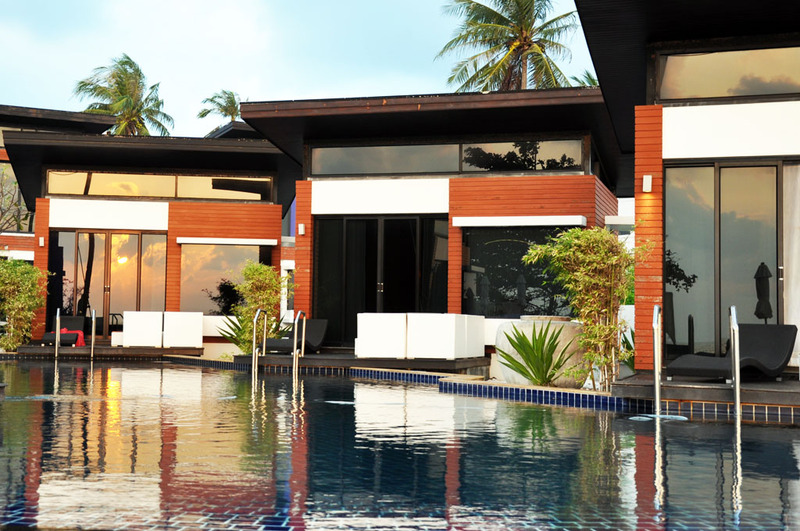 For some pampering and luxury head to Khanom (the northern part of Nakhon) and treat yourself to a stay at new Scandinavian-inspired resort, Aava Resort and Spa. Created by Finland’s top designers, Aava is a winning combination of Thai friendliness and European style. The resort offers a selection of memorable dining, wellness and adventure experiences as well as a complimentary kids’ club, in an unspoilt setting of swaying coconut palms, lush green landscape, limestone mountains and virtually untouched beaches. If you want to experience world-class degustation by the beach, this is the place. I half expected Gordon Ramsay to appear in boardies as we were served the most delectable array of dishes. Atte and Kati- your hosts- will ensure a fantastic Scandin’asian’ experience. This is another of Thailand’s undiscovered southern hideaways, with secluded beaches, lagoons, forests, waterfalls and hidden caves. 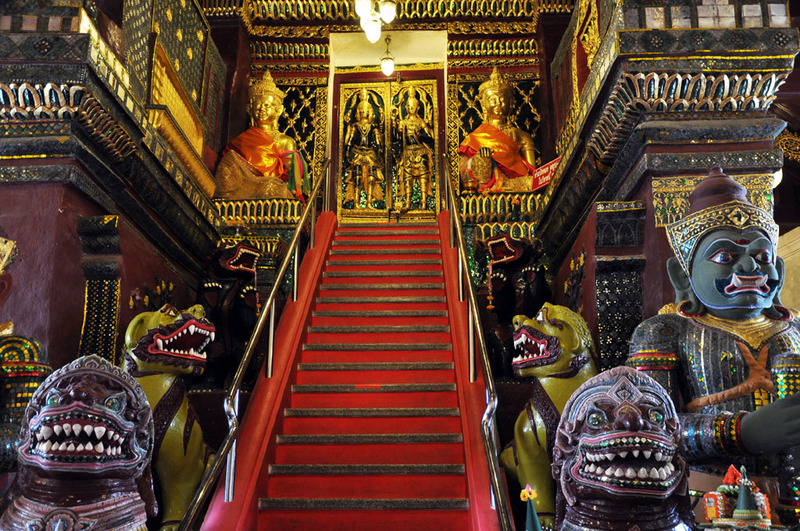 The town also has beautiful temples, good hotels and a local airport with daily flights from Bangkok. Make sure you try out their unique transport system. 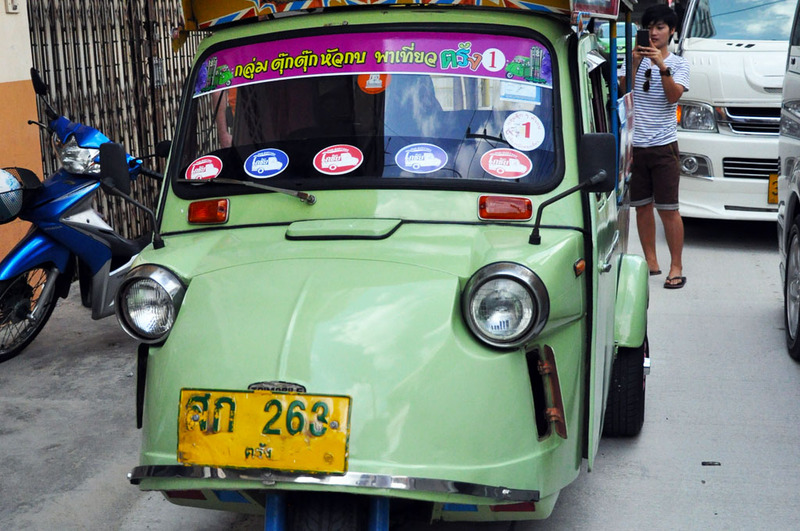 The tuk-tuks (Trang style) are not quite as hectic as their Bangkok counterparts and without the city’s fumes and craziness; they are a great way to get around. Even better, hop on a speedboat and go island hopping. 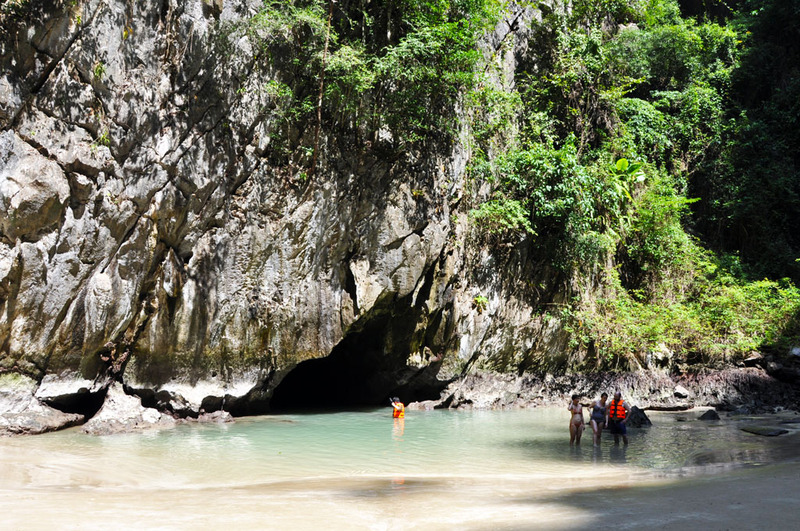 Koh Mook, one of the biggest islands, is breathtakingly beautiful and home to the Moracot cave, great for the more adventurous to explore. For a taste of Southern food, take a tuk-tuk to a kopi (coffee) shop and try the local tradition of dim sum breakfast treats washed down with kopi (very strong but mercifully cut with condensed milk). There are also lots of seafood eateries in these southern areas offering plenty of flavour. It’s a spicy mixture of Thai, Malay, Chinese and Indian cuisine, all washed down with a Singha beer and sure to please the fussiest palate. The area is famous for wood and weaving craftsmanship, so it’s well checking out the local home industry of Thep Tharo wood carvings in the Huai Yot district. This is a type of pine tree with a fresh and distinctive aromatherapeutic scent that is used for carving figures such as tigers, horses, dugongs and, of course, Buddha. 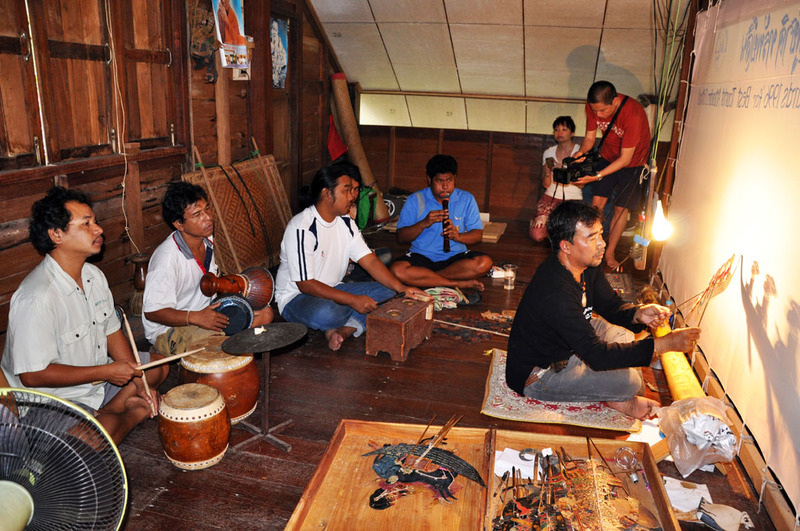 The nearby Na Muensri village is famous for its silk weavings using local techniques and patterns. The ‘Lai look Kau’ pattern is the centuries-old style of attire for the upper classes (though everyone wears it these days). About Jenny… Jenny Rowland is the co-owner and publisher of Australia’s longest running and highest circulating travel industry magazine, Traveltalk.